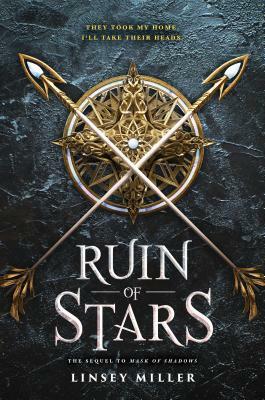 In this exciting (and bloody) sequel to "Mask of Shadows", the domineering nation of Erland has invaded the foundling nation of Igna, and Sal -- part of the queen's elite assassins -- is tasked with finding those responsible for this invasion and stop them. It helps those responsible are also on Sal's list of people who need to pay for the destruction of their birth nation and the death of their family. Sal is forced to face their demons, uncover plots, and exact revenge for their lost country and culture as they try to find peace, both between Erland and Igna and within themselves. An excellent conclusion to a unique series.